Cytotec (misoprostol) is a drug that’s sometimes used to induce labor. Originally designed to prevent stomach ulcers, Cytotec’s use in labor induction is off-label and has not been approved by the FDA. There is no way to accurately predict how a mother and baby will respond to Cytotec, making its use in labor induction risky. Because Cytotec is administered by pill vaginally, it is not possible to rapidly discontinue its effects in the event the patient has an adverse reaction. Complications associated with Cytotec use include uterine hyperstimulation (tachysystole), maternal hemorrhaging, uterine rupture (1), and placental abruption (2). In the mother, some of these complications may necessitate a hysterectomy (removal of the uterus). The baby can also be permanently harmed, potentially developing forms of brain damage such as hypoxic-ischemic encephalopathy (HIE) and intracranial hemorrhage leading to cerebral palsy and intellectual disability. In some cases, the mother and/or baby may lose their lives as the result of Cytotec misuse. Cytotec is the brand name for the drug misoprostol, a synthetic form of prostaglandin. It has been researched, developed, and approved for preventing stomach ulcers. Although it is frequently used as a labor induction agent, the FDA has not approved its use for this purpose. Despite the fact that the FDA and the manufacturers of Cytotec have both issued warnings against off-label use of this drug, many doctors still prescribe Cytotec to induce labor. They do this because Cytotec can ripen (thin) the cervix and produce contractions. However, it can also result in permanent harm to both the mother and baby. There are serious risks associated with using Cytotec as an agent for labor induction. Cytotec is administered by vaginal pill, rather than through IV or a removable vaginal insert like other labor drugs (Pitocin, Cervidil). The Cytotec pill may be cut into quarters in order to give a smaller dosage at one time. Even so, incremental doses of Cytotec can be very dangerous; since it is immediately absorbed into the body, its use cannot be rapidly discontinued if the mother or baby has an adverse reaction. Cytotec can also increase the need for emergency c-section or assistive device delivery due to the complications frequently associated with the drug. Use of Cytotec as a labor induction agent is especially risky for women who are of advanced gestational age (commonly defined as over 35), who have previously had uterine surgery (including a C-section), or who are grand multiparas (have previously given birth several times) (1). However, it is not FDA-approved for labor induction under any circumstances. Cytotec misuse can cause serious and permanent injuries such as cerebral palsy and HIE. Children with these conditions often go on to require expensive lifelong care. If your baby was harmed as a result of Cytotec misuse, we encourage you to learn more about your legal options. 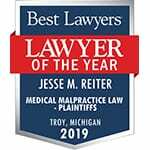 The medical malpractice attorneys and on-staff nurses at Reiter & Walsh ABC Law Centers focus on birth injury cases; we have the expertise necessary to help you get justice and compensation for your child’s care. 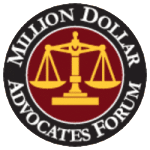 Please reach out today for a free case evaluation. In fact, you pay nothing throughout the legal process unless we win your case! Fontenot, M. T., Lewis, D. F., Barton, C. B., Jones, E. M., Moore, J. A., & Evans, A. T. (2005). Abruptio placentae associated with misoprostol use in women with preeclampsia. The Journal of reproductive medicine, 50(9), 653-658. The information contained in this page is not medical advice and should not be interpreted as such. If you have any medical questions or concerns about the topics covered on this page, please speak with a medical professional.